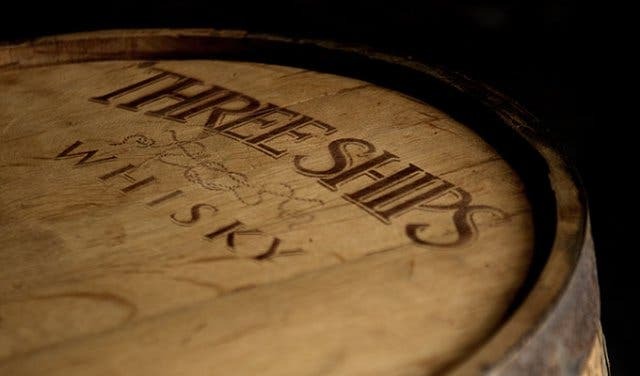 Refers to the alcohol content of a beverage. Proof represents twice the alcohol content as a percentage of volume. Thus, a 100 proof beverage is 50% alcohol by volume. 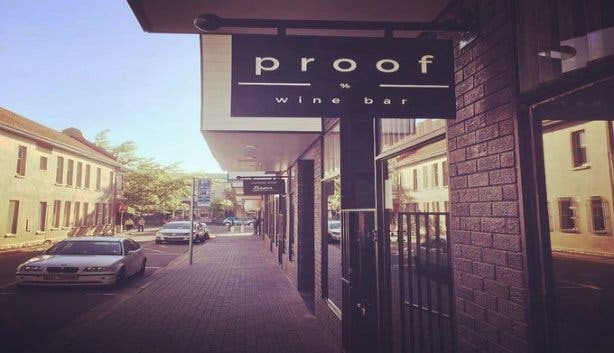 Neatly tucked away at The Avenues in Somerset West, Proof Wine Bar opened its doors on 6 January 2017, and offers a great selection of the best of the Western Capes wines and craft beer. 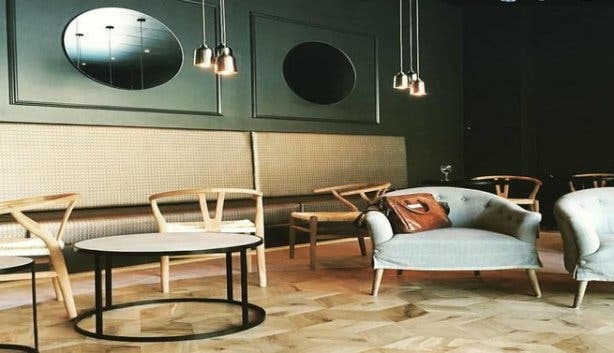 Co-owners Dan Crowe and Wayne Mongie had a dream of bringing the CBD of Somerset West to the forefront and believed that their idea of a wine bar would do just that. 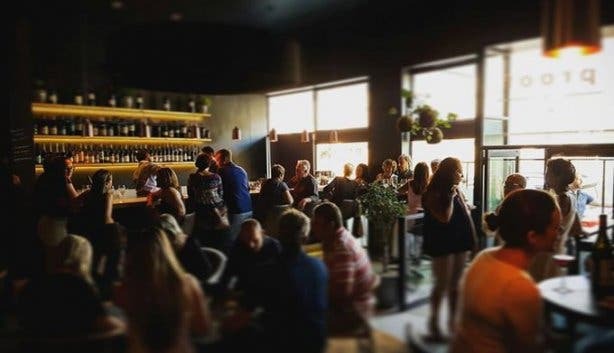 Proof Wine Bar has proven that a sense of community is alive and well in Somerset West. Proof Wine Bar also seamlessly doubles up as an ideal space for a professional meet-up. “There are so many places to go, but nowhere that we feel comfortable going to, or taking our clients to,” says Wayne. Proof Wine Bar’s interior definitely speaks professionalism, with a bit of a laid-back feel, as the new hotspot incorporates matte black walls, suspended copper lights and leather-finished bar stools. But don’t be fooled into thinking that you can only rock up for a meeting. 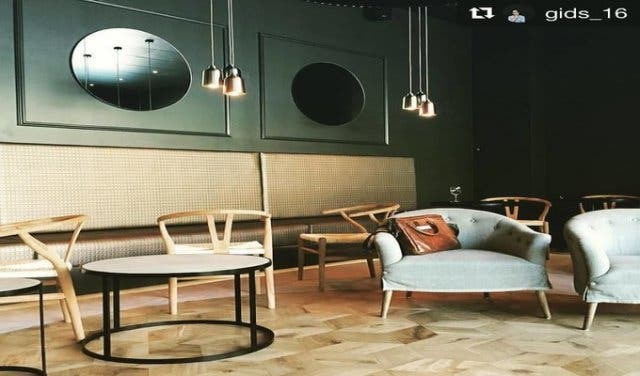 Although Proof Wine Bar looks like a dream now, just a few months ago that’s all it was: “I was looking at a photo from 18 August, this morning and this place was empty. It was a shell, just raw floor, raw walls, no ceiling, and no glass in the place. And here we are on 6 January, fully functional” says Wayne reminiscent of the journey. Proof Wine Bar not only puts a unique offering on the table, but broke many records on their road to success. 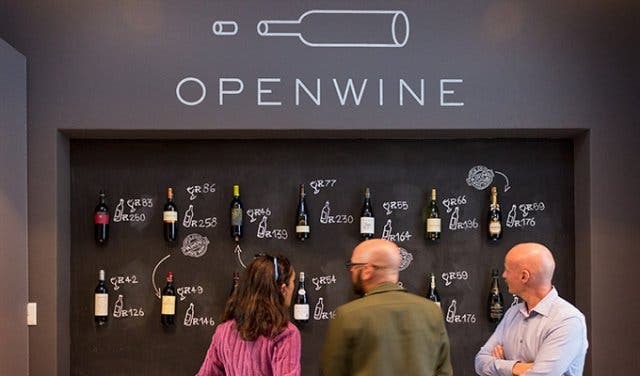 Vino duo Dan and Wayne decided to raise their capital via crowd-funding through Thundafund, resulting in Proof Wine Bar being the first crowd-funded bar in South Africa, as well as the first wine bar in the Helderberg Basin. 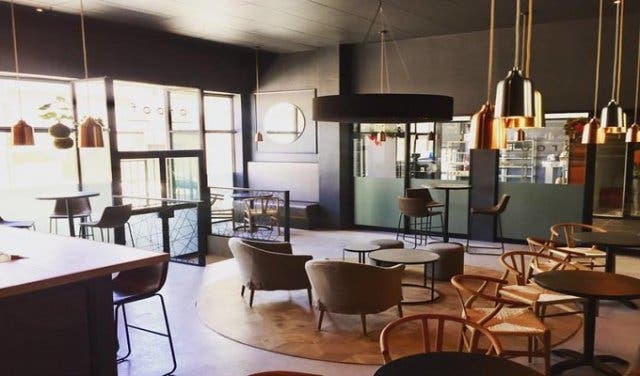 “We got a lot of support based on what we are trying to do for the CBD in Somerset West,” says Wayne, “Everything that I do in my property business, is about uplifting the CBD and I wanted this to feed into that, as well”. The Thundafund campaign ran for six weeks and with only one day to go, they hadn’t reached their target yet, which means that the project would be unsuccessful and people would get their money back. Without their knowledge, someone had been watching the process unfold, and this backer managed to pledge the difference of R130 000. “People got very emotionally invested, and then in fact, got financially invested too,” says Wayne. Be sure to check out this first-of-its-kind wine bar! Note: Proof Wine Bar will be offering informative sessions to up your vino game in the near future. These sessions include wine tastings and “meet the winemaker” events. Follow Proof Wine Bar on Facebook for further updates. Tip: Try Proof Wine Bar’s selection of craft gins or craft tonic waters. Pair it with a cheese, charcuterie or biltong board, or opt for some olives or nuts. 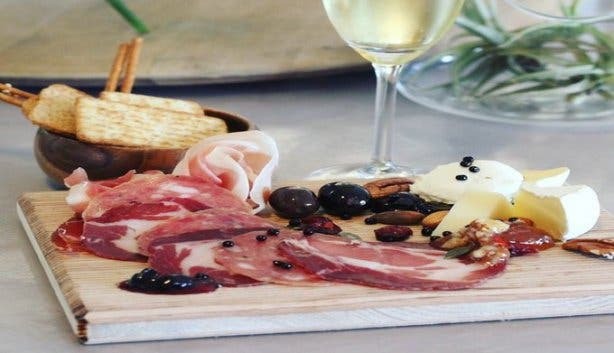 The Bill: A glass of white costs between R32 and R65 | A glass of red will cost between R28 and R63 | A bottle of rosé costs between R100 and R240 | A bottle of MCC costs between R160 and R360 | Cheese boards cost R64 | Charcuterie boards cost R78 | Biltong boards cost between R42 and R58. 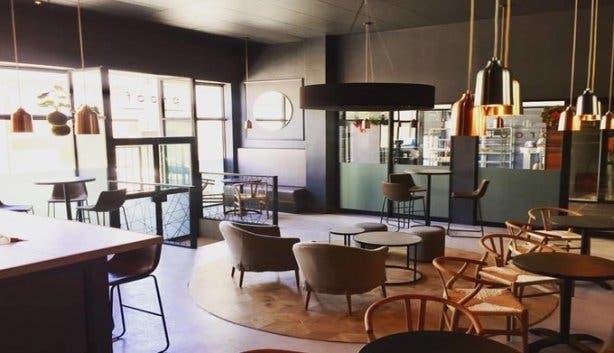 Discover excellent new Cape Town wine bar ChiCha and the new gin bar at Nom Nom Eatery. 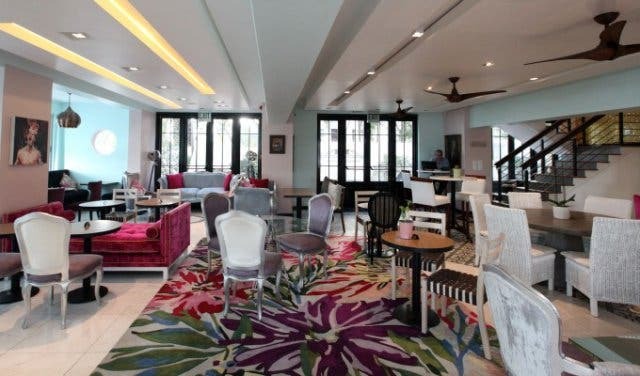 Discover exciting new experiences, from delicious pastries, beautiful breakfasts and excellent lunch and dinner options, plus: double-your wine on Wednesdays and a new DIY gin bar. Explore Nom Nom restaurant. Discover the other side to the story with this live production of Hansel and Gretel.